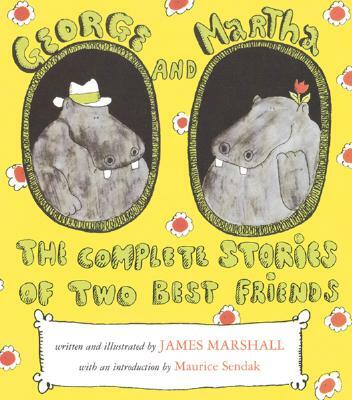 George and Martha: not, as one might think, the first president and his spouse, but two hippopotamuses created by the singular talent of James Marshall. For the past quarter century, these stories have entertained, intrigued, and delighted readers of all ages. The portly animals have also taught us, in a humorous and lighthearted way, about what it means to be a true friend. A man with a talent for friendship, James Marshall defined its very essence in his stories about the world's two best friends. In this volume, all thirty-five episodes are brought together to celebrate friendship and two of the most lovable book characters ever created.